Citizens to Separate Church and State (CSCS) welcomes the No-vote in the presidential age referendum (‪#‎AgeRef‬). We could not understand the government’s proceeding with this referendum (35th) without first fixing the religious discrimination in Constitution Article 12.8, with its requirement for the president-elect to swear a religious oath at installation. Reform of Art. 12.8 by permitting the use of an ‘affirmation’ has to be put before the people first. It is an abnegation of human rights against non-believers, or those candidates who cannot swear an oath, to continue with this anachronism in our constitution. Unless of course that this State only want believers as its president. CSCS wrote to every cabinet minister and member of the Oireachtas back in early February pleading with the government not to move the Bill for the 35th amendment in the Oireachtas but instead to act to fix Art. 12.8. Not one minister replied to us. No political party engaged with us either. The government’s response to our pleading was to move the Bill to enable the 35th amendment to be taken without modifying Art. 12.8. The opposition did not demur. The discriminatory aspect of the ‘forgotten referendum’ has been characterised by omerta in our democracy and media. CSCS got virtually no coverage for its position on this referendum once the campaigning for the marriage referendum got going. We ask: What has happened in our democracy that our view was not given any platform? The State has been under notice from the UN Human Rights Committee that maintaining the religious oath constitutes a human rights abnegation – as recently as last August in a UNHRC periodic report on Ireland. Do human rights and ‘equality for all’ only apply in relation to the marriage referendum? Citizens to Separate Church and State (CSCS) wrote to our government (cabinet) on 24 February pleading with it to drop the proposed 35th Amendment to our constitution until the religious oath required by Article 12.8 for installation of the President was amended or dropped. At that stage the Bill to move the 35th Amendment (age for president) had not been introduced into the Oireachtas. The government ignored our pleading and the Bill was subsequently moved and passed. CSCS has issued a short (7 min) video documentary setting out why it is calling for a ‘No’ vote in the Presidential age referendum. It is CSCS’s view that the government’s 35th amendment is ill-judged and ill–timed because it has failed to deal first with the issue regarding the religious oath that has to be sworn by the president-elect (Article 12.8). It raises an important human right abnegation in relation to Irish citizens. CSCS is struck by the fact that posters produced by the proponents calling for a ‘Yes’ vote in the 34th Amendment (marriage equality) campaign emphasise the ‘Equality’ aspects of this worthy cause but there has been a marked ‘blindness to equality’ in relation to the import of Art. 12.8 in its connection to the 35th amendment proposal. The formal letters we sent to (1) all cabinet members, (2) Oireachtas members and political parties and (3) various faith bodies back in February when CSCS was formed were an attempt to have the Presidential Age Referendum (35th Amendment; #AgeRef) dropped until the human rights abnegation contained in Article 12.8 was remedied. At that stage the Bill moving the Age Referendum had not been introduced into the Oireachtas so it could have been pulled by the government. Remember that this amendment was not even in the Programme for government. Needless to say we have received not a single reply from any government minister, Oireachtas member or faith body to our plea. Total silence. Omerta rules! Ireland continues to make much about human rights issues abroad but is blinded by the motes in its own eyes. 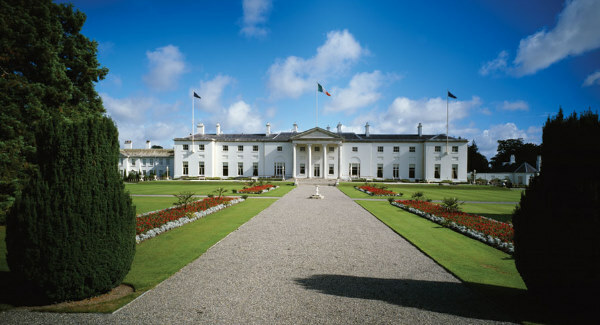 The celebration of the centenary of Proclamation of the Republic takes place next year. A strange place. Marian Finucane programme this morning had a panel discussion dealing with the Age Referendum. No mention of the human rights abnegation contained in the religious oath requirement (Article 12.8). CSCS has issued a short (7 min) video documentary setting out why it is calling for a ‘No’ vote in the Presidential age referendum (35th amendment). The government’s 35th amendment is ill-judged and –timed because it has failed to deal with the issue regarding the religious oath that has to be sworn by the president-elect (Article 12.8).